Whether you have an e-commerce business or just send out a lot of mail, what you need is the best postal scale if you want to save money since it is a lot more sensitive than regular scales. You may need to weigh your envelopes and packages before heading to the post office, and this comes in very handy and helps you know how much to pay exactly. Nowadays, digital postal scales are common because they are easy to use and reliable. However, if you are going to buy a postal scale, you should buy the one with the necessary features and provides accurate results. There is no point investing in a scale that does not even give you an accurate weight reading. The problem is that weight capacities, sensitivity levels, and materials used vary between postal scales. Hence, we reviewed three postal scales that meet all the quality standards and are worth your money. 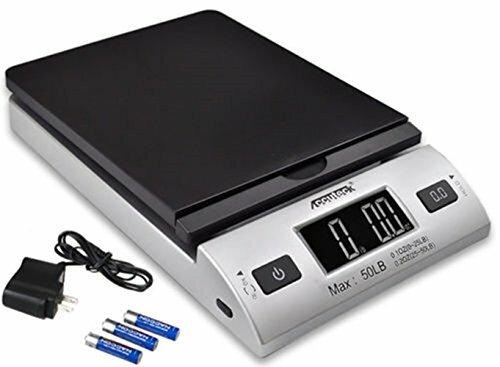 From the name itself, the ACCUTECK All-in-One Series W-82 Digital Scale is designed in a way that whatever type of mail you want to weigh, it can handle it. In fact, you can also weigh irregular mails with the integrated fold-up mail holder; just keep them upright at a 90-degree angle. 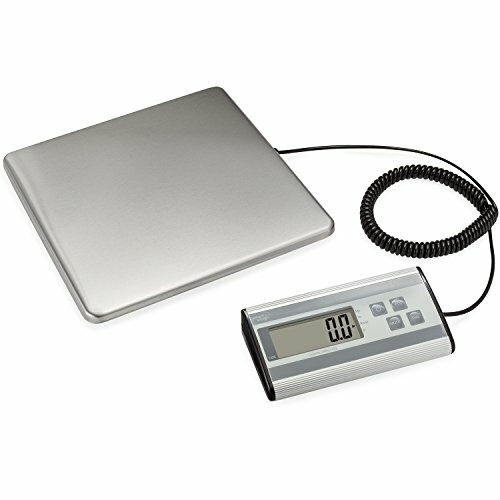 The weighing capacity of this scale is 50 pounds which is generous enough, and the sensitivity is 0.1 ounces for weights ranging from zero to 25 pounds and 0.2 ounces for loads between 25 and 50 pounds. Like most postal scales, it also has tare and hold functions. The tare shows the weight as zero while the hold keeps the reading displayed even after you have removed the item from the scale. This comes in very useful when you are weighing an oversized package. 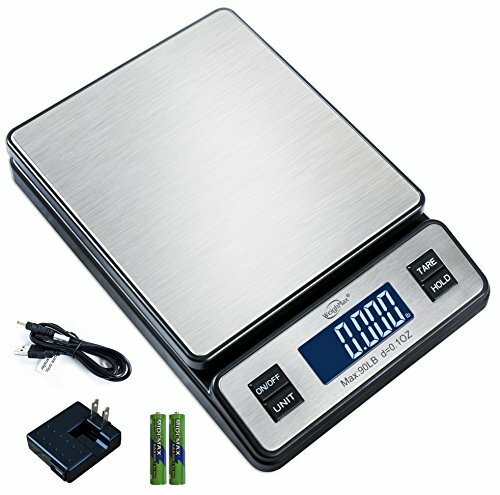 What makes this scale unique is that you can calibrate it with any weight starting from five pounds. 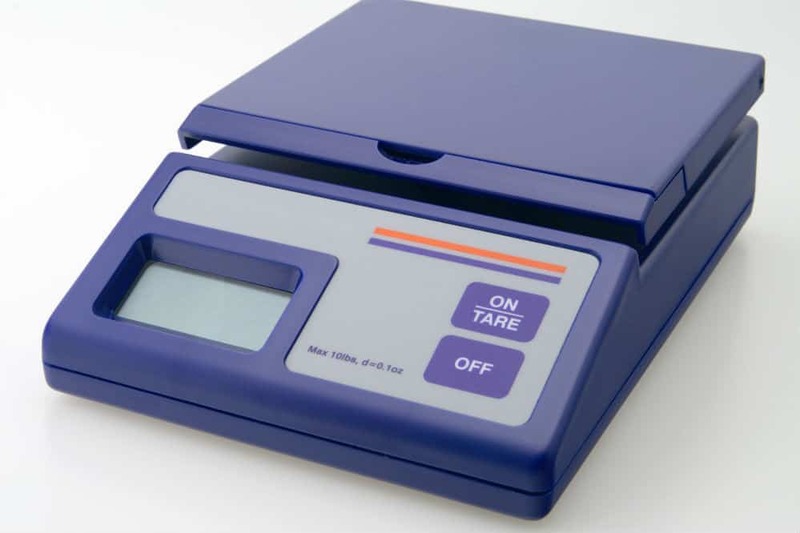 Many postal scales do not have a calibration feature as they come calibrated, but with this one, if you are ever in doubt, you can calibrate it manually. Further, this device has multiple weight modes or units such as pounds/ounces, ounces, grams, and kilograms/grams. It runs on three AAA batteries that come with the product. Also included is a 5V adapter. Lastly, this scale has a simple design with high usability. The weight is displayed on a back-lit LCD where the digits are quite readable. Are you looking for something for big packages? The Smart Weight Digital Postal Scale is said to be the boss of all postal scales. With a weight capacity of 440 pounds, this one can weigh big packages, and the wide platform allows you to place large boxes conveniently. This scale has a user-friendly design and has two parts while the platform is separated from the scale. An extendable cord connects them, and this setting eliminates the problem with reading the weight of big packages. When it comes to the minimum reading you can get with this scale, it is at six ounces so you can weigh your lightweight envelopes as well. Additionally, there are multiple reading modes including pounds, ounces, kilograms, and grams. It also has a PCS feature that gives the count of items that weigh the same as well as a USB port for power. Further, The LCD Screen is easy to read, and it automatically shuts off to save power when nothing is being weighted. It is designed for professional use, but you can also use it at home. Lastly, Smart Weight is a popular USA-based brand for scales so you can feel safe purchasing this model. This product is a sturdy but straightforward postal scale. It has four buttons namely power, unit, tare, and hold. The tare and hold functions are quite useful when weighing multiple or bulky packages. As for the units of measure, you can weigh items in pounds, ounces, pounds/ounces, and kilograms, while for the power supply, there are multiple options included in the scale. You have an AC adapter, batteries, and USB cable. This is also designed to shut off automatically after 90 seconds of not being in use when on batteries, but it stays on when connected with the adapter. On another note, the weight capacity is quite generous which is 90 pounds, while the minimum capacity is 10 grams. It is made from high-quality stainless steel which gives it a long life. The steel is shiny, giving it a very clean look, and the weight of the scale itself is just five pounds. You can also use it in the kitchen as a kitchen scale given its high sensitivity. It is also considered a safe purchase since the manufacturer gives a limited ten-year warranty. Also, even though it is straightforward to use, there is an instruction manual included to help you understand how it works and how to use it properly for weighing different items. If you want the best postal scale, any of the three products above should do since they all have multiple reading modes and power options, as well as all necessary features. Also, the weight you get from these scales will not be much different from the scale at the post office so they can be used in a professional setting as well as at home. They are also all highly accurate, but the ACCUTECK postal scale can be calibrated manually, giving you more peace of mind. However, it is only suited for small to mid-sized packages. Hence, although the Smart Weight model lacks the back-lit LCDs that allow you to read the weight easily, it makes up for it with its unique design, making it the best for weighing lightweight and heavy packages.